UBuild2 - our online tool that allows you to quote and bind most of your clients residential and commercial building risks has been enhanced to provide you with a simpler, more intuitive experience. 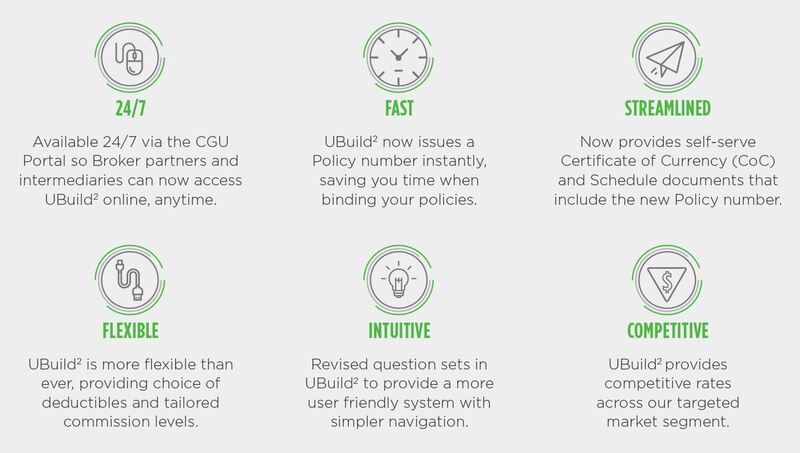 UBuild2 lets you provide instant quotes and policies on most residential and commercial building risks with a simpler, more intuitive experience. To find out more speak to your BRM or visit the CGU Broker Portal.